aquariums from buying and trading dolphins obtained from the drive hunt. Please reply, indicating to us what you will do to implement our request. What we heartily request is your concrete plan to support the conservation and ethical treatment of dolphins by ending your member aquariums’ procurement of dolphins from the Taiji drive hunts. As we already explained in detail, the drive hunt is not Japanese culture or tradition, so there is no need to refrain from acting against the drive hunt as a matter of cultural sensitivity. We previously petitioned JAZA to abide by the WAZA Code of Ethics. However, JAZA replied to us that they did not recognize any problem as long as JAZA follows the laws of Japan. Clearly, JAZA has no intention to observe WAZA’s Code of Ethics. If JAZA continues to violate the WAZA Code of Ethics, JAZA should be disqualified from remaining as a member of the WAZA, and should be expelled from the WAZA. On the other hand, allowing JAZA to remain a part of WAZA weakens WAZA's authority and credibility. * All groups are organization of Japan or organization run by Japanese living outside Japan. Shizuoka animal welfare "dog and cat hotline"
We ask you to send your reply to our petition in written form by April 30 to the following address. 1. Dolphin hunting itself, and the method of catching and killing dolphins, are cruel acts. In recent years, two patterns of dolphin hunting have been practiced in our country. These are poke pole fishing and drive hunting. dolphins escaping by enclosing them with fish nets. The dolphins are then captured alive. There is absolutely no transparency and openness in dolphin hunting. When dolphins are killed, tarpaulins are used to conceal the reality. Despite this concealment, however, there are still many cases of cruelty reported. The following facts pertain to dolphin hunting. 1) When driving dolphins, fishermen usually bang on metal rods in the water, causing dolphins’ sonar systems to be disrupted, driving them into a panic. 2) To capture dolphins alive, fishermen pursue them relentlessly. It is reported that panicked dolphins bash against each other in their own blood, become entangled in fishing boat nets and suffocate to death. They die of panic and the shock of being captured, drowning in the sea. 3) Most of the wounded and emaciated dolphins are killed due to not being “suitable” for sale. When killing dolphins, it is reported that fishermen plunge metal pins into their blowholes, leaving them to bleed and suffocate to death. 4) Dolphins regarded as unwanted are driven back to sea. However, these dolphins are allegedly unable to survive and it is impossible for them to propagate again since they are too wounded and traumatized to do so. 5) In order to sell dolphins to aquariums, dolphins are captured live. A large number of dolphins become victims to the entertainment industry – in other words, to aquariums. Dolphins transferred to aquariums may die of stress. Under Japanese ordinances, there are no regulations pertaining to, or punishment for, the cruel methods involved in capturing and killing animals. Furthermore, there are no independent organizations to monitor and verify what actually happens. Despite dolphins being wild mammals (small Cetartiodactyla of Odontoceti), dolphins are precluded from regulations for wildlife protection and from hunting laws (Paragraph 1, Article 80 of the law, Paragraph 2, Article 78 of the Ordinance for the Enforcement of the Act ). Dolphins are subject to the Fishery Act. Dolphins are also not subject to the Animal Law that pertains mostly to family pets. Furthermore, dolphins are not subject to the International Whaling Commission (IWC) regulations. Regarding the catching and killing of dolphins, including large Odontoceti and Baleen Whales, there are no regulations. We must therefore conclude that dolphin hunting is exempt from regulations and legislation in our country. In other countries, the basic concepts of animal welfare in terms of farming, transportation and the slaughtering of animals and livestock used as food are universal. From a global perspective, there is a long list of problems regarding the current Japanese situation, which lacks regulations and laws on animal welfare. According to the rules and regulations of the OIE (World Organization for Animal Health) that Japan accedes to, the treatment of animals in a humane way, and the painless killing and slaughtering of animals, are required. Animals should be free from pain, fear and fatigue, while instant death, or death in a state of total unconsciousness, should be adhered to. Animals should be rendered unconscious immediately, with minimal suffering. Furthermore, it is stated that animals should not be subject to apprehension, physical pain, fatigue and mental distress. Although these rules and regulations do not apply to wild dolphins, dolphins killed as food should naturally be considered under these rules and regulations. From this point of view, we must say that dolphin drive hunting is an unquestionably cruel act for the reason that the appropriate catching and killing methods, in accordance with animal welfare philosophy, have not been adopted. According to Mr. Iwasaki and Mr. Kai (in 2010) on “Improvement in the Methods of Catching and Killing Dolphins in Taiji, Wakayama”, which supports the claim made by the central government and the local authority of Wakayama Prefecture that drive hunting has been improved every year, it is stressed that inserting a metal pin in the dolphin’s blowhole many times to prevent bleeding means immediate numbing, instant death and freedom from pain. We doubt this theory. That is because of the following results of analysis released in the paper titled “The Veterinary and Ethological Analysis of the Current Methods of Catching and Killing Dolphins in Taiji, Japan”, researched by the Faculty of Medical and Veterinary Sciences, the University of Bristol, City University of New York and other foreign research institutes. The results of analysis are “1) Damaging the vertebrae artery and vesicular plexus causes significant bleeding but does not result in instant death for dolphins. 2) Due to plugging a metal pin into the blowhole to prevent bleeding, death does not come immediately. 3) Mutilation of the spine requires skill and technique. However, it is questionable if skill and technique is employed, as noted from video evidence.4) The dolphin feels pain until death. 5) It remains questionable when the dolphin actually dies and no longer feels pain. The AVMA (American Veterinary Medical Association) states that dolphin hunting is in breach of modern ideas on animal welfare standards from scientific, humane and ethical perspectives. The limited number of videos available on dolphin hunting adequately inform us of the brutality of this practice, greatly shocking those who view them. 2. Generally speaking, dolphins are animals with sophisticated intelligence, communicative abilities and emotions. Compared to other mammals, dolphins have higher capabilities of intelligence and communication, and also have emotions showing their pleasure, anger, sorrow and joy. Hence, dolphins are affectionate higher animals. 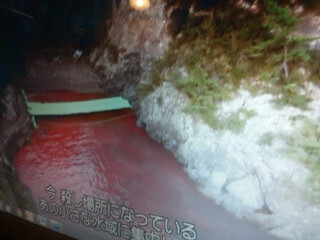 It is quite clearly an inhumane activity to cause terror and so viciously harm dolphins in the ways described earlier. Dolphins form their families and social groups as schools of dolphins in a sense of solidarity. According to the previously-cited paper by the Faculty of Medical and Veterinary Sciences, University of Bristol and City University of New York, it is stated that 1) The process involved in killing dolphins takes several hours or days. 2) The killing of dolphins is performed in the close vicinity of family or group members. 3) Dolphin cries echo throughout the entire time during the killing of dolphins. 4) Dolphins are highly sociable mammals. Therefore, dolphin hunting inevitably causes the breakdown of dolphin families and damages schools of dolphins considerably. The remaining family and group members that survive are traumatized by the mental distress of the sadness experienced due to losing their members. Dolphin hunting not only kills dolphins but it also has a huge impact in the form of mental trauma on the remaining dolphin family and group members. In addition to dolphins being rare wild animals and deserving of protection, they are our fellow inhabitants on earth, and our friends, sharing the living environment on the planet. The central government and the local Wakayama Prefecture claim that the dolphin species is abundant as a resource and the numbers captured for harvest is within the range of the annual stipulated quantities on the basis of scientific research conducted by the central government (FRA: The Fishery Research Agency). However, their scientific research is merely a visual inspection and is unworthy to be considered scientific research. Furthermore, the directors of the agency are almost all retired bureaucrats or officials, and almost all of the agency board members are too. Therefore we assume that the results of the research are unreliable because their research cannot affect national policies due to the makeup of the agency (being retired bureaucrats and officials they want to maintain the status quo). Furthermore, there are no independent organizations or institutions to observe and verify their research and their business. The bottom line is that the current dolphin harvest in our country is under sloppy management and can hardly be said to be an activity that complies with the concerns of wild animal protection. The relationship with wild animals changes naturally with the development of civilization. Wolves and larger felidaes used to be subject to extermination and hunting. However, they are now subject to protection as rare wild animals, as are their habitats and ecosystems. It is concluded that the preservation of the ecosystem as such has a positive and valuable effect on human beings. Likewise, we recognize that the preservation of dolphins in the wild, and the ocean as their living environment, is a great legacy for human beings. The central government, the local authorities and relevant organizations should recognize this. 4. Dolphin hunting has nothing to do with Japanese traditional activities. Often the argument is raised that dolphin hunting is a traditional culture in our country. However, the history of dolphin drive hunting in Taiji, Wakayama, started in the 1960s (according to the town history of Taiji, it started in 1933). However, the main purpose of dolphin drive hunting is the selling of dolphins to aquariums. This kind of hunting is not historically a part of traditional life or culture. Meanwhile, other countries perceive dolphin drive hunting in Japan as being for the purpose of selling dolphins to aquariums, thereby catching them for commercial use and not as part of traditional cuisine culture. There is an argument that dolphins are an important food resource. However, many Japanese do not consider them food. Hypothetically, dolphins may have been one food resource since ancient times but that is no justification for dolphin hunting now. Elephants and humans too used to be the main food resource in some societies, but currently there is no region on earth that uses these as food resources.In Kyoto, people used to fish “Itasenbara” (a species of Acheilognathus Melanogaster, a freshwater fish) and use them in sushi. These Itasenbara (Acheilognathus Longipinnis) are a natural treasure and protected species. Hence, likewise, dolphins are no longer necessary food resources. 6. Dolphin drive hunting is strictly banned in the many countries throughout the world. The World Association of Zoos and Aquariums (WAZA), in their code of ethics, states that they forbid dolphin drive hunting and they warn that dolphins caught by drive hunting should not be imported from Japan. In addition, many other countries have introduced laws and regulations banning the catching of dolphins, the import and export of dolphins, the exhibition of dolphins in aquariums, rearing cetaceans, including dolphins aquariums, and the transportation of dolphins. As stated above, dolphin hunting is an inhumane activity and there are no positive reasons for continuing it. and should streamline the regulatory laws with penalties regarding animal welfare which regulate dealing in wild animals generally and forbid the cruel slaughter of animals. Sale la protesta internazionale contro l’attuale mattanza dei delfini in Giappone. Sono sufficienti pochi giorni per catturare almeno 250 delfini, il cui massacro si fa sempre più spietato nella baia di Taiji, in Giappone. Critiche e proteste sono nate dagli ambientalisti della Sea Sheperd Conservation Society, i quali hanno diffuso in streaming le immagini brutali di questa barbaria. I cacciatori, che iniziano la carneficina nella stagione autunnale, per poi finire nel mese di marzo, non riservano la stessa sorte per tutti i delfini. Infatti, mentre alcuni finiscono nelle tavole dei ristoranti giapponesi, dopo esser stati macellati vivi, altri muoiono dissanguati, poiché legati prima per la coda, e poi massacrati con una spranga in acciaio, inserita nella spina dorsale. Non è bastato nemmeno il soprannome di “baia della morte”, dato dagli attivisti, a bloccare questa mattanza, che comporta la morte di centinaia e centinaia di delfini. Quest’anno poi, per dar vita a questa strage, è stata costruita una grande barriera nera nei pressi di una scogliera, dove l’acqua è più bassa. Ma questa volta il mondo si ribella: la mattanza dei delfini è stata denunciata sia da Yoko Ono, moglie del cantante John Lennon, che dalla nuova ambasciatrice americana a Tokio, Caroline Kennedy, figlia del presidente, che ha espresso la sua profonda indignazione a riguardo. Nonostante ciò non sarà così facile frenare questo sterminio, perché la caccia ai delfini, come spiegato dal portavoce del Governo, Yoshihide Suga, fa parte della tradizione alimentare giapponese , come una vera e propria pesca, condotta nel rispetto delle leggi.